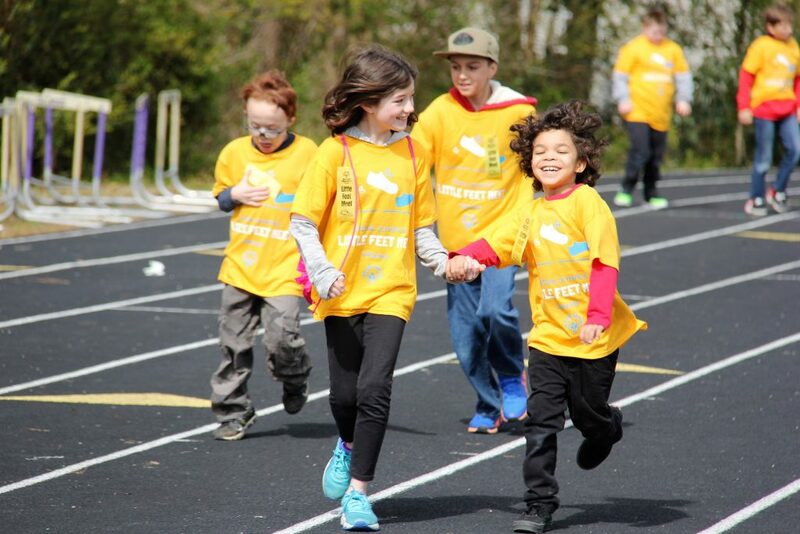 The annual Little Feet Meet, hosted by Virginia Beach City Public Schools (VBCPS) in partnership with Special Olympics Virginia, gets underway on the morning of April 2 at Tallwood High School. 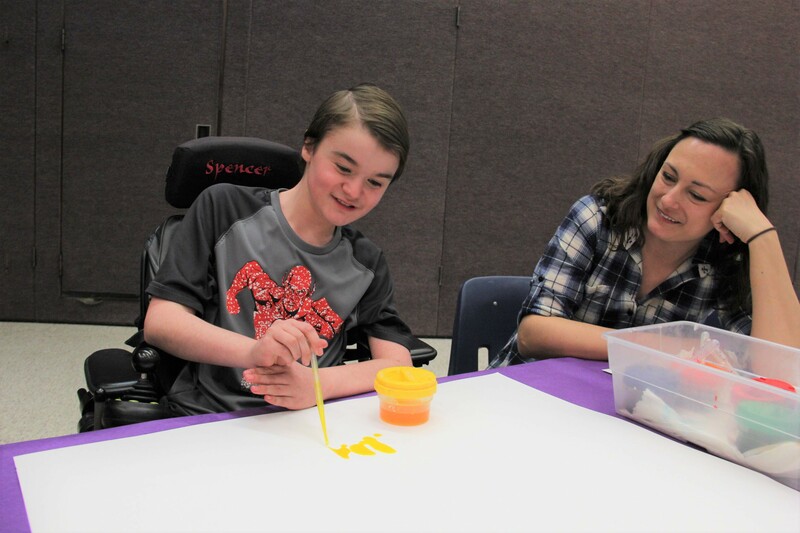 In its third year, the program brings students with disabilities together with peer buddies for a morning of fun-filled, developmentally-appropriate track and field events. Over the weeks leading up to the meet, the division’s adaptive physical education teachers have facilitated activities for 153 athletes, 162 peer buddies and 130 volunteers from all across the division who are registered to participate this year. While Little Feet is primarily for the elementary school students, some VBCPS high school students with special needs still contribute. As the athletes walk in during Opening Ceremonies, there will be signs held high, introducing their respective schools. 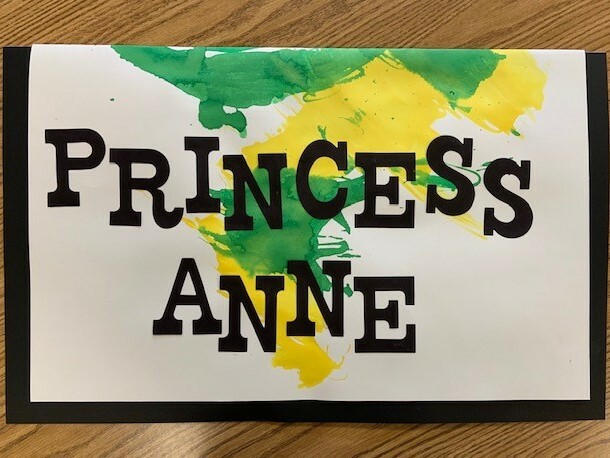 Those signs were created by young artists from six different high schools in Sarah Trainum’s class at Princess Anne High School. 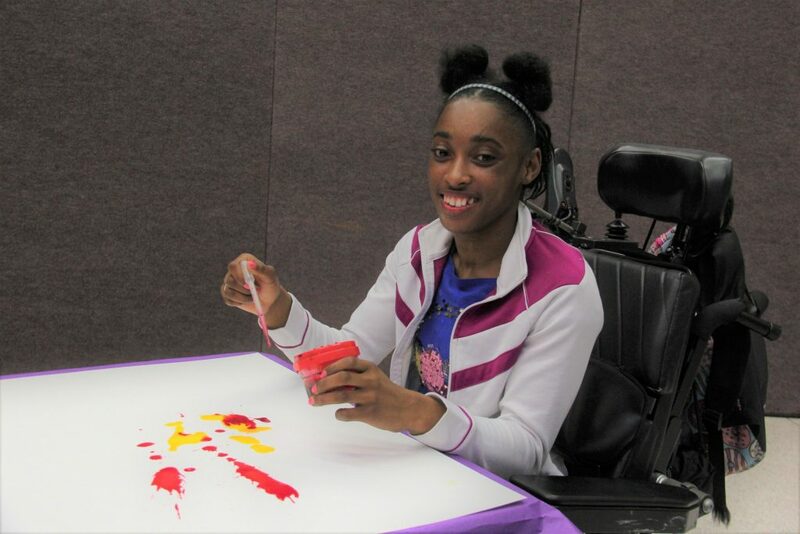 The adaptive art teacher travels to several schools within the division, serving students with special needs. For this project, the artists used eye droppers (like those found in a science class) to manipulate watercolors on paper. The Olympic Village opens at 9:30 a.m., followed by Opening Ceremonies at 10 a.m. The athletic competitions for Little Feet Meet continue through noon.